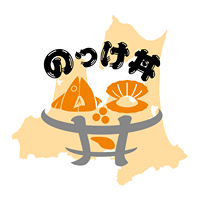 Ancestor Aomori Nokke is open without taking a rest during the Golden Walk! ! 원조 아오모리 올려 덮밥은 골든 웍 기간 쉬지 않고 영업하고 있습니다! ! 신선한 해산물을 준비하고 기다리고 있습니다! !